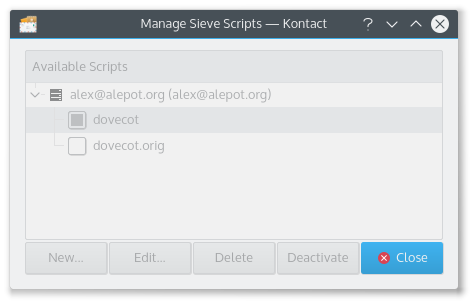 I expect to be able to manage server-side sieve scripts from the 'Manage Scripts' dialog. The manager logs on to the sieve server and data is returned. The data is inaccessible because the dialog contents are greyed out.